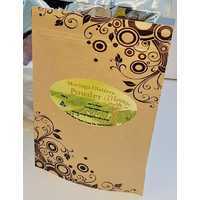 Moringa Tea is a spicy, delicious blend made from the 100% natural Moringa leaves. 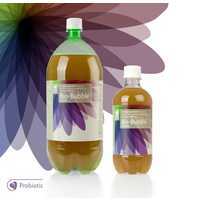 Maringa Tea comes in original flavour. 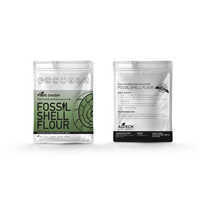 The leaves are carefully selected to ensure the highest quality and naturally dried, containing no artificial colours, flavours or preservatives. 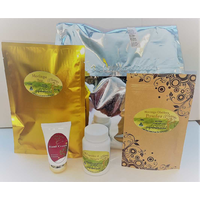 Maringa tea complements the daily-required essential nutrients, amino acids all-natural vitamins and minerals. 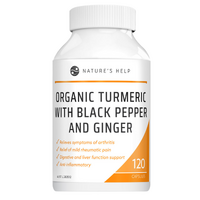 It is rich in natural antioxidants that are beneficial for inner body wellbeing. 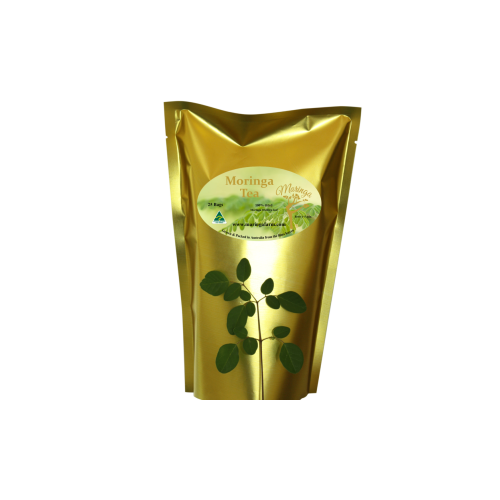 Traditionally used Moringa Tea boosts the immune system, supporting the metabolism and the cell structure of the inner body. 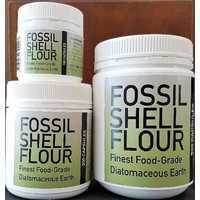 It strengthens the cardio vascular system & detoxifies the body of toxins combating premature aging. 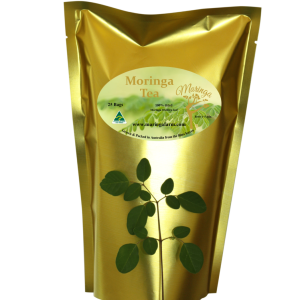 Moringa leaves tea supports the normal blood sugar levels of the body, promotes a better night’s sleep and has essential nutrients for brain function. 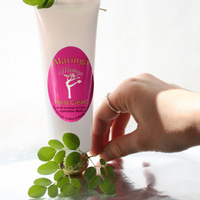 Moringa Tea is Traditionally used to improve the body’s anti-inflammatory mechanisms and has proven to be a positive impact on healthy weight loss. 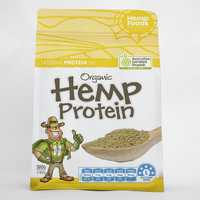 It increases energy and vitality and gives a feeling of General wellness. 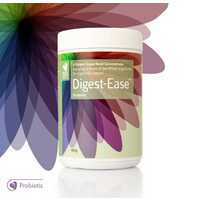 Promote proper digestion and the normal function of the liver and the kidneys. 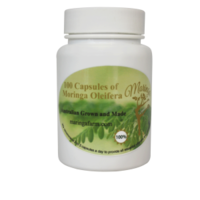 Maringa leaf powder supports normal blood sugar levels in the body. Promote a better sleep and give a feeling of general well-being. 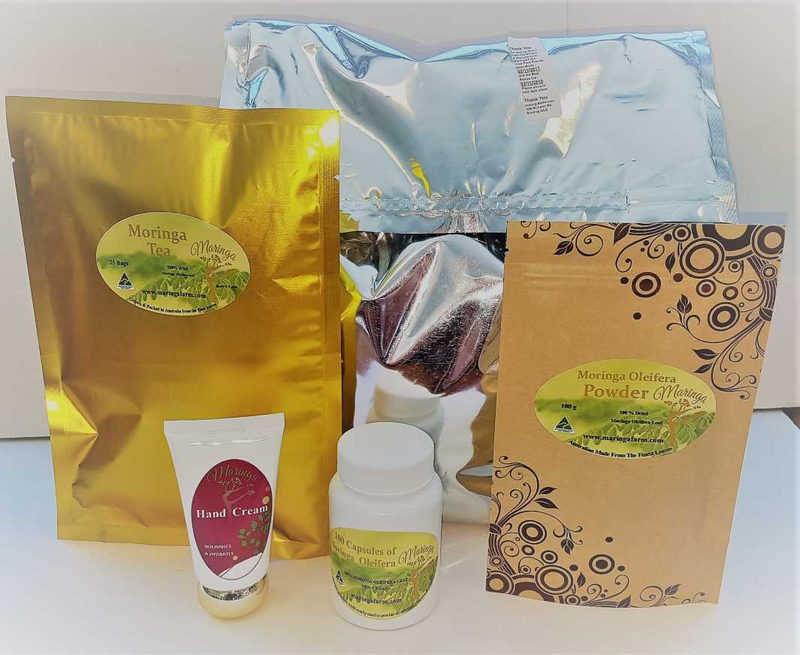 Furthermore, Moringa leaf powder supports the body’s anti-inflammatory mechanisms, have a positive effect on healthy weight loss and rejuvenate energy and vitality. One tea bag is enough for one cup of good tea. Pour boiling water over the teabag. Cover and leave to brew for 4-6 min.